Toptal is partnering with DFW Blockchain Coders, a group of local coders and developers interested in blockchain technology. The topic of their next meetup, taking place September 21st, 3:00 - 4:30pm, will be Blockchain and eCommerce. Join us to meet fellow technical experts from around the Dallas-Fort Worth area, and to discuss various aspects of blockchain development. 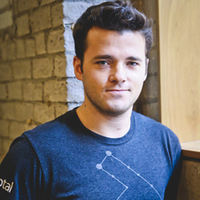 Ethan Brooks, Toptal’s North American Lead, will be on site to answer any questions you may have about Toptal. This event is open to all who are interested, so feel free to bring a guest.